Once a person is arrested for suspicion of a crime in Sonoma County, the individual will be taken to the county jail for booking. In some cases, after the individual has been held, he or she may be given the opportunity to get out of jail on bail. Bail is an amount of money that the courts will hold onto in exchange for a defendant’s freedom while he or she awaits the completion of his or her trial. Every amount of bail is different and it depends on the crime that the individual has been accused of committing. We can also assist you in Mendocino County. When a defendant is given the chance to get out of jail on bail, the defendant will have to supply the courts with the bail amount. When a defendant cannot afford to pay the full amount of bail on his or her own, the defendant will often turn to a bail bonding agency for help. 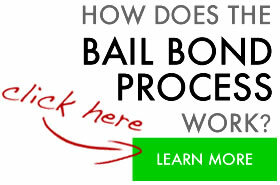 A bail bonding agency is in place to provide a defendant with the full amount of bail that he or she needs. In exchange for paying for the bail, the bail bonding agency will charge the defendant a down payment, which is usually about ten percent of the total cost of the bail. A credible bail bonding agency will not only be licensed and insured, but it will provide defendants with a variety of payment methods. Some payment methods may include cash, credit card or check. Other payment methods may rely upon collateral as down payment. 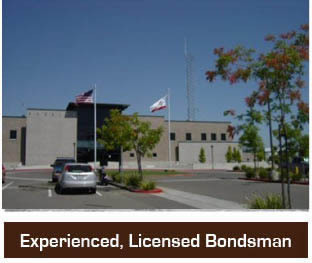 Be sure to find a bail bondsman that you trust and that is available to answer all of your bail bonding questions 24 hours a day, seven days a week – right when you need a reliable bail bonding team on your side. Sonoma County is one of the largest producers of wine in the country. It is home to over 250 wineries between it and Napa County. There are many bail bonds companies that are cheaper but none that will deliver the level of service as one of our Agents. They have been specially trained to be fast, efficient and discreet, all while walking you through every step of the process. If you have any questions, please feel free to give us a call and receive insight into our 20 years of experience working within all of California. 800-662-0056!